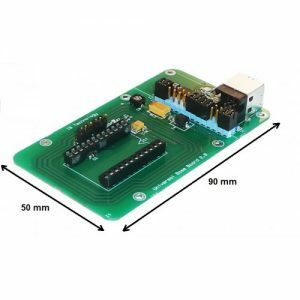 The A1-B1 Baseboard is a demonstration board for the A1 and B1 modules. The User can test all features of both modules, check tag detection ranges, or install the Baseboard on their own systems to verify compatibility. 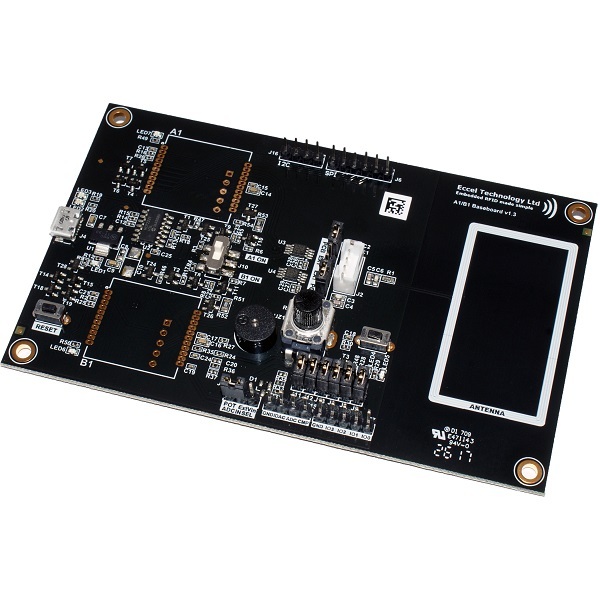 The Baseboard is a complete reader and tag acceptance solution for passive RF transponders. The modules are designed with embedded applications in mind. 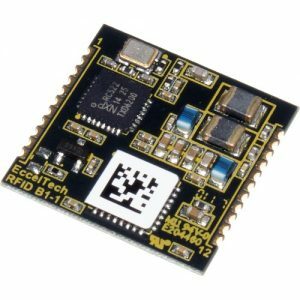 These products are an ideal design choice if the user wishes to add RFID capability to their design quickly and without requiring extensive RFID and embedded software expertise and time. 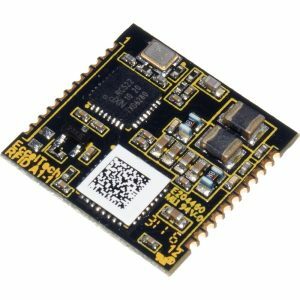 The on board low power ARM microcontroller handles the RFID configuration setup and provides the User with a powerful yet simple command interface to facilitate fast and easy read/write access to the memory and features of the various transponders supported by these modules. The modules simply require a single power and GND connection from the user PCB as well as two connect ions to an antenna. Eccel Technology Ltd (IB Technology) provide a wide range of suitable antennas designed to be used with these modules. 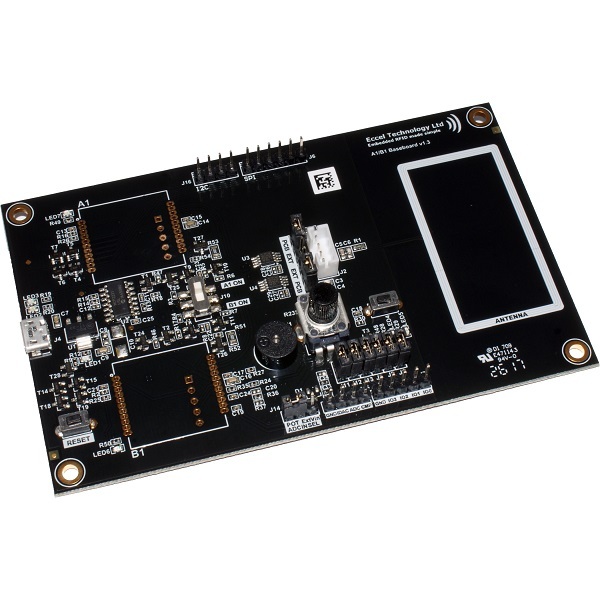 The A1-B1 Baseboard provides these connections to the modules for the user to evaluate and develop their application on either the RFID-A1 or RFID-B1 module. 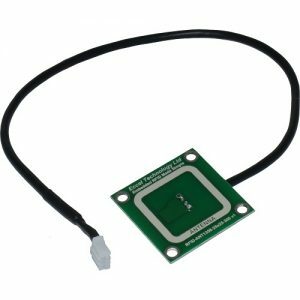 The Baseboard is a complete reader and tag acceptance solution for passive RF transponders. The board is powered by the USB connection. The Baseboard also has the SPI and I2C interfaces. With the User addition of a RFID-A1 module and/or RFID-B1 module, the board is a fully featured RFID/NFC read/write system for MIFARE Classic® 1K, MIFARE Classic® 4K, NTAG2xx® and MIFARE Ultralight® passive tags and cards. Additionally a buzzer, two LED’s (blue and yellow) and a switch are on board, that by using jumpers, are easily connected to the module IO lines for the rapid ability to drive them (buzzer and LED’s) or read them (switch). 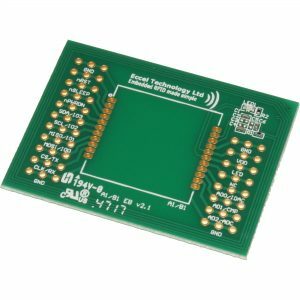 The board does NOT come with any RFID-A1 or RFID-B1 module fitted. 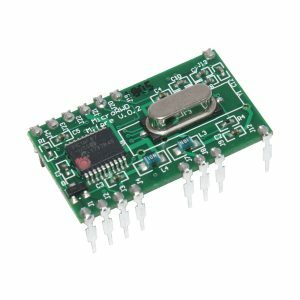 The user must purchase these separately and attach the desired module(s) to the A1/B1 Baseboard by soldering.